Up for bid is a 3 pack consisting of: 1 Haworthia retusa acuminata, 1 Haworthia venosa var tesselata, and 1 Gasteria liliputana. Like most Haws, these are not a full sun/high light plants as would be many cacti. Bright indirect or diffuse light is best. If receiving stronger light plants will develop a "tan". Should that happen, simply decrease the light intensity and the plants will green back up. Haws typically go somewhat dormant during the summer when temps are high. Water should be decreased during that time and shelter from hot sun given. During the cooler months of autumn through spring is the time of active growth. (Temps in the 70s to upper 60s is generally the "sweet spot".) More water should be given while in active growth. 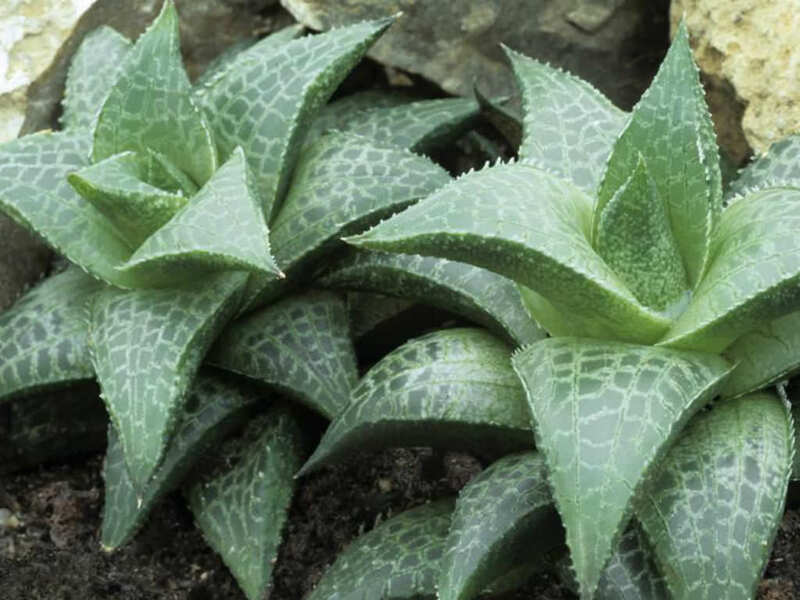 The Gasteria's culture is basically the same as the Haworthia. Lilputana, as its name implies, is a rather diminutive plant ... remaining under 2" tall. It is a clumper and will form a "colony" over time. *Note: The Haw. tesselata currently has a tan due to the increased light intensity received through my SE facing glass doors. A decrease in light intensity will return it to its greener stage.